subdivision of either that is primarily engaged in providing care to terminally ill individuals, meets the Medicare conditions of participation for hospices, is licensed by the Department of Health, Bureau of Home Health and Hospice Standards, and has a valid Medicaid provider agreement. Reimbursement is limited to qualified Medicaid enrolled hospice providers rendering services to terminally ill patients who have elected Hospice benefits. There are many of Hospice Care providers in St. Louis, MO for you and your loved one to choose from. Hospice care handles the emotional, social and spiritual impact of the disease on the patient and the patient’s family and friends. There are multiple bereavement and counseling services available to families before and after a patient’s death. Hospice care can also be administered in homes and can be physician ordered for end of life patients. Sign up today and save your St. Louis hospice listings. There are many Hospice Care providers in St. Louis, Missouri that may be the right fit for your family. 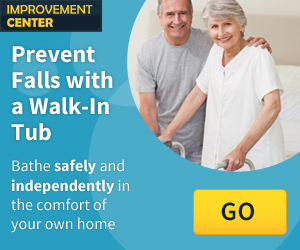 Click below to view Hospice Care providers in St. Louis, MO. Hospice care can provide multiple forms of care such as pain and symptom control, spiritual care and social or family counseling. This type of care is offered not only for the patient but for the families as well. St. Louis is a major city in the state of Missouri that is located along the Mississippi River. Some cities that are near St. Louis include Ferguson, Fairview Heights and Belleville, MO. A few fun things to do in the St. Louis area are go to the Missouri Botanical Garden, visit the St. Louis Zoo and go to the Cathedral Basilica of Saint Louis. The St. Louis area has a lot to offer and will surely provide for you and your loved one.